Frank Lorenzo was chairman, president and chief executive officer of Texas Air Corporation. He was also chairman, president and chief executive officer of Continental Airlines, and chairman of Eastern Air Lines. Lorenzo is a graduate of Columbia College and the Harvard Business School. Early in his career, Lorenzo was associated with the financial departments of Trans World Airlines and Eastern Air Lines, and in 1966 co-founded Lorenzo, Carney & Co. In 1969, Lorenzo co-founded Jet Capital Corporation which had major interest in Texas Air. With the passing of the Airline Deregulation Act of 1978 airline carriers were provided with new freedoms to expand their route systems and the flexibility to develop innovative pricing structures. This flexibility allowed the carrier to further grow into new markets. However, deregulation brought about many unwanted hostile takeovers and mergers. The move was on by many airlines to become giants in the industry. Either be taken over or take over other air carriers. Unions were being busted to cut personnel payrolls to increase profits. Non-union carriers like People Express triggered airfare wars which cost the airline industry close to a 100 million dollars. Frank Lorenzo, owner of Texas International Airlines, took over People Express, Continental Airlines , New York Air and Eastern Airlines in the early 1970's and 1980's. Upon control of Continental, Lorenzo file for reorganization under the bankruptcy laws. He then laid off his work force and brought in non-union workers and restarted the airline. This move allowed him to cut union personnel wages in half by bring in non-union workers. Lorenzo then slashed airfares causing an airfare war throughout the industry. Airlines had great difficulty in keeping their doors open. Many air carriers had to merge in order to survive. Lorenzo, with a desire to have major control of air passenger industry, sought and gained control over Eastern Airlines and Frontier Airlines. This move made Texas Airline one of the biggest airlines in the country. The move by Lorenzo forced the merger of many air carriers in order to remain viable. Air carriers could not compete with current airfares unless they merged with other carriers. TWA acquired Ozark, Delta Airlines acquired Western Airlines and Northwest acquired Republic Airlines. Lorenzo was not satisfied. Driven by profits, Lorenzo requested machinists of Eastern Airlines to take a pay cut. However, the machinist union refused to do so. This brought about a war between labor and management. The machinist union IAM (International Association of Machinist and Aerospace Workers) called for a strike. The strike brought about air passenger delay and the company began loosing millions in daily revenues. The United States Bankruptcy Court intervened after a creditor brought suit against Eastern Airlines. The court very much aware of Lorenzo's labor practice, appointed Martin Shugrue as temporary trustee over Eastern. Eastern was unable to overcome its fiscal downfall and as a result was forced to close its door. 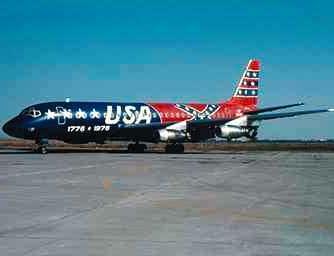 Many had accused Lorenzo of selling off assets and transferring Eastern's aircrafts to Texas Air. Other accusations included depleting Eastern's pension fund. Many felt Lorenzo was only interested in purchasing defunct air carriers in order to strip the carriers of its assets. This was a major blow to Lorenzo's credibility in the business community. In the summer of 1991, Lorenzo sold off most of his investments with Continental Airlines. This allowed Continental to further grow as a result of IAM and other unions had kick up a storm. The Scandinavian airline that bought Continental also insisted that Lorenzo leave, and signed a pact to stay out of the airline business for seven years. But that didn't stop Lorenzo from trying to start up another small airline in Baltimore, which he ironically wanted to call Friendship, in 1993. After a flurry of union protest, the U.S. Department of Transportation denied Lorenzo's bid to establish the airline, saying he was unfit to fly "in accord with the public interest."